Hwæt! If you don’t want to witness me taking this movie waaaay too seriously and drowning my keyboard in tears of anger during long sentences of painfully earnest prose, skip to the end and the more easily digestible “WTF Moments” section. The Hobbit may be a slim book, a classic adventure tale for children, but it is written skillfully, with wit and humour, character development, a sense of the epic and a mythological backbone that makes it not inconsistent with its titanic offspring, The Lord of the Rings. Because of this, I hoped (even expected) that it would be treated with the same respect, creativity and slavish attention to detail that J.R.R. Tolkien’s works had previously received at the hands of Peter Jackson. The only image I could find of my beloved version of the book (Unwin Paperbacks 1966), Though mine is much more worn around the edges. At worst, I reasoned, the first installment of a ~9 hour film treatment of a 278 page novel would suffer from additions, not deficiencies. It would allow the audience to luxuriate (perhaps even excessively) in the details of the book, brought to life with no time or budget constraints (no missing Tom Bombadils or scouring of the Shires this time), and any additions would be understandable concessions to the film medium. Sadly, Peter Jackson removed almost as much material as he added (which was a lot), and all with a blithe senselessness that left me very, very angry. Tiny tidbits from the book, certain individual lines, props and scenes were a pittance, tossed at the audience as if they were generous concessions, a sort of shoulder nudge for the fans, “see, we read the same book as you” thing, while the larger portion of dialogue and plot details were straight from a movie trope library. There is much I could have forgiven in a shorter film from an unproven director, but this is 3 hours of Peter Jackson doing Tolkien – it has to be so bad in order to be bad. And it was. For example, instead of exploring the psyche of dwarves and their dubious motivation for the quest, everything was blamed continually on the idea of “omens” and it being “the right time,” like that explains anything. Bilbo’s little Hallmark speech about how he wanted the dwarves to have a home and sense of belonging was pathetic and gratuitous. Sorry, the dwarves were totally in it for the gold and revenge and sense of belonging be damned. And Bilbo didn’t even want to be there most of the time. Instead of letting Bilbo simmer in the psychological discomfort of his uncertain position in the company of adventuring dwarves, gradually proving himself as his character changes and grows (which is, indeed, the entire point of the story), the film first treats him as a bystander, then has him randomly save Thorin’s life, earning the chief dwarf’s goodwill and dispelling the drama of Bilbo’s position with one boring cliche. In fact, all the book’s little revealing psychological insights into Bilbo that make the reader love, empathise with and understand him are completely absent from the movie. And get this, folks, it actually turns BLUE when goblins are around! Blue, blue, BLUE! For example, the audience supposedly couldn’t be trusted to understand the joke when Bilbo slips up, describing himself to the trolls as “a bur – a hobbit,” so it’s changed to “a burgler hobbit,” which isn’t a joke anymore at all, it’s just stupid. It was carefully explained that Sting burned blue in the presence of Goblins, when the few people not already aware of this could easily have been shown it, not told. The audience had to actually see Gollum drop the ring. This took away the sense of mystery and discovery that is so enjoyable about the original scene in the book. Many details from the book that would have been easy to include in a movie of this length and budget were glaringly disregarded. No coloured, hooded cloaks on the dwarves, no wet and weary pony rides with Bilbo reminiscing about his cozy hobbit hole (not for the first time), few songs, no blue, red and green pine cone firebombs from Gandalf, no darkness in the Goblin tunnels, no Glamdring and Orcrist flashing about during the fights, no this, no that. But here, have some random scenes featuring Radagast hugging a hedgehog. No review is complete without addressing positive aspects and I have to say that the riddle scene was quite brilliant. I thought that it was well-done, entertaining, funny and delightfully consistent with the portrayal of Gollum in the LotR films. It almost made it worth watching the whole film. Also, Martin Freeman did a very good job, though no doubt he was confused to see his name in the top billing, given the lack of focus on his character in the film. In conclusion, sure, it was a spectacle, but then so is your mom doing a 3 hour long rendition of “Mein Heir,” complete with fishnet stockings and a chair of dubious stability. Call me a purist, but I was hoping for something spectacular instead. the first 10 minutes of the film – like a giant screensaver slideshow of New Zealand, with the picture changing before you’ve had a good chance to look at it. Then you remember what you came to your computer for but shaking the mouse doesn’t wake it up. suffering from amnesia or maybe just hated The Hobbit. Otherwise, he is seriously misapplying the “imitation is the sincerest form of flattery” quote and letting his ego go all King Kong on us. I’m actually having a hard time believing that Jackson directed this at all; LotR was full of clever, interesting cinematography and beautifully composed shots, while The Hobbit is full of pans and copied material. the moment I realised that Azog, who merits a one-sentence mention in The Hobbit (“Your grandfather Thror was killed, you remember, in the mines of Moria by Azog the Goblin” (24). That’s it. Oh, and a footnote on page 257), was destined to replace both Bilbo’s character development and the quest itself as the focus of the movie, while the Rivendell part (which occupied an entire chapter in the book) was about as long and interesting as a bathroom break. the shaggy fat suits that were loosely Velcroed to what were otherwise, no doubt, quite acceptably pony-like ponies. fart jokes in the troll scene. Really? And since when has any creature that considers sitting on dwarves to squash them into jelly an acceptable cooking method been worried about things like parasites? the interminable episode where Radagast leads the goblins and wargs in spirals on an open plain around Thorin & Co. in an exhibition of what has to be the worst decoy technique ever. Thorin & Co arrive at Smarmdell, where gay elves go to die (or rather, live forever). Rivendell looking like a bad forgery of a Thomas Kinkade painting. Galadriel dematerialising like some sort of Cheshire cat. Also, the celestial choir gargling loudly in our ears during her first appearance. the Gandalf/Elrond/Galadriel/Sauruman scene – so long, boring and pointless I can only assume it was done on purpose for reasons beyond my ken. stone giants – pre-SFX footage from the next Transformers movie. the Goblin King’s high-pitched voice. Add a Cheetos-stained white tank-top and his vibe would be complete. the cosy, warm colour palette for all the goblin scenes, which suggested renovation not retreat as the best plan of action. Seriously, brew me a cup of tea, light a nice fire, slap on some wallpaper and I’d never leave. the whole goblin escape scene via rope bridges, etc., which was one Nicholas Cage look-alike away from being a very respectable remake of the last few scenes of National Treasure. when I realised that someone got paid to write (and someone paid to deliver) the line “You’ve got to be joking,” uttered shortly after the deceased Goblin King fell on top of the company. So many good lines from the book left unsaid and yet “You’ve got to be joking” will forever exist in this version of The Hobbit. The screenwriters literally could not have picked a more cliched, banal phrase. It just makes me want to cry. Gandalf “healing” Thorin by muttering some sort of shopping list in the general direction of his forehead. They both looked surprised when it worked. In fact, the only entity that was thoroughly unsurprised was the audience. the Azog fight at the end of the movie. What, a story containing encounters with trolls, goblins, Gollum, wargs, giant spiders, unfriendly wood elves, and a dragon, ending with the Battle of Five Frickin’ Armies, needs some extra fight scenes? 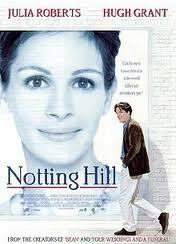 This is the most chick flickiest chick flick I have ever seen. Ever. 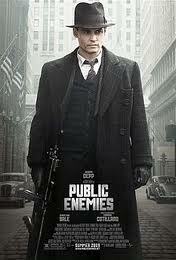 It is like the Rambo of romantic comedies. Pretty Woman and You’ve Got Mail are ham-fisted action movies in comparison. Picture being made of pink cotton candy and slowly drowning in a sticky vat of melted Jane Austen novels, warmed by the currents of heated air wafting from Hugh Grant’s eyelashes every time he blinks, while someone slaps you in the eye repeatedly with rose petals…. aaaaaaaaaaaaaaaAAAAAAAAAAAAAAAA!!! Almereyda’s Hamlet (“starring” Ethan Hawke) is one of the most atrocious films I have ever seen! 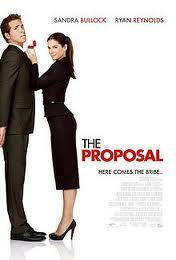 How in the name of all that is holy did this movie win awards and get mixed reviews? Don’t even get me started on its portrayal of the play, which is heart-wrenchingly, mind-crushingly deficient. No, my complaints are much less subjective. For example, someone forgot to inform the actors that Shakespeare left spaces between the words, so mostofthelinessoundlikethisbutdeliveredwayfasterthanyou’rereadingrightnow. The cameraman seemed to be using his elbows to maneuver the camera. The b-roll footage appeared to be lifted from an entirely different movie by an editor with ADD. Right at the beginning, there is a speech dubbed over video of an actor who is obviously forming completely different words with his mouth. The visuals were cluttered, the sets sloppy, the shot compositions senseless and the staging horrendous (examples: action cramped awkwardly into the half of the frame that isn’t being taken up by a curtain, dialogue where one person’s head completely blocks the view of the other person’s… I could go on, but I don’t have 72 minutes like the director of this hideous film did). But the most original, startling, thought-provoking performance of all was from that boom mic, yes an entire boom mic, that reflected boldly off a window and right into my narrowed, unbelieving, pained eyes. In the director’s inept hands, the characters’ [usually tragic] deaths were mercy killings that finally released both them and me from the textbook enactment of film gaffes that is Almereyda’s Hamlet. 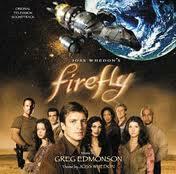 Well, I just finished watching Firefly and quite enjoyed it, with only a few caveats. 1. The characters were interesting and displayed some development as the series progressed. 2. The SFX were more than acceptable – better than some shows now (I’m thinking of Eureka in particular), which is especially remarkable given that Firefly was from 2002. The only exception would be all the battle scenes from Malcolm and Zoe’s back-story. For some reason, those felt really cheezy. 3. Some of the writing was downright excellent, with occasional one-liners that were laugh-out-loud funny. I especially appreciated the way that “native” languages and colloquialisms were incorporated (mostly successfully) into the script. Also, the writers somehow managed to use poor grammar to good effect. 4. I liked the music in general (especially the unusual use of fiddles) but thought the theme song was a little tacky and unprofessional sounding. 5. The acting was quite good in general, with even some memorable performances from auxiliary characters, such as the bounty hunter in the last episode. 6. I liked how the makers didn’t let the futuristic setting take over – instead of trying to make every aspect of the show feel futuristic, they kept it to a more familiar-but-different level. For example, the kitchen in Serenity was very homey…but then you realise that it’s on a space ship. 7. The season was very cohesive – there were references to the events of past episodes and the writers’ main goal didn’t seem to be to make episodes that would simply stand on their own. 1. I passionately hated Kaylee and her stupid “romance” with stupid Simon. Seriously – could she be any more obnoxious? In fact, almost all of the sexual tension in Firefly seemed really cliche, predictable and poorly executed. 2. Serenity is hideous looking – possibly the ugliest space ship I have ever seen. It looks like an arthritic, pot-bellied praying mantis. 3. I know that some will argue that the whole “space western” thing is what makes the show unique, but I think that, while fun, the western themes made the show unrespectable. It felt like they were looking for something cheap and handy that would utilize an excess of western props – a cop-out. 4. At times, the cinematography was absolutely horrid. In one scene in the first episode, I actually stopped and went back to see if my computer had glitched out or something, but no – the shoddy cuts and disorienting voice overs were built in. In conclusion, my main reaction is surprise that this show was canceled. It seems superior to many other popular scifi shows and, if it continued, I would watch it.